Friends originated in February of 1981 on North New Ballas Road in Creve Coeur. In 1990, after much success and an ever increasing staff, Friends relocated just a half mile north. In 2015, in order to update, we moved into our current location at 660 N New Ballas Road. Friends’ educationally focused staff sets us apart from other salons. We attend yearly international trade shows in Chicago, St. Louis, and Orlando as well as other classes and seminars here and away. We consistently keep up with the most current trends, styling techniques, and technologies available in the fashion industry. Staff unable to attend, join us for follow-up training sessions while others revisit what they have learned by doing demonstrations and teaching. At Friends, it’s about more than just our education. Educating our clients develops the trust, communication, and partnership we believe contributes to our ability to meet your needs. At Friends, education is our life blood. Friends’ takes pride in our “friendly” team. Through mutual respect and equitable training programs, we surpass others salons by providing more individual attention to our clients. New hairstylists and body therapist train under the owners and senior staff for 40 weeks to refine their skills. During that time, they learn and practice the fine points of their craft on friends and family. Education continues every Tuesday with problem solving, working on equations, and model work as needed. 1. Friends Image Design will consistently evaluate our practice with each and every client, in order to meet your needs and exceed your expectations. 2. Our focus will always be on individual attention, customer satisfaction, quality and integrity. 3. 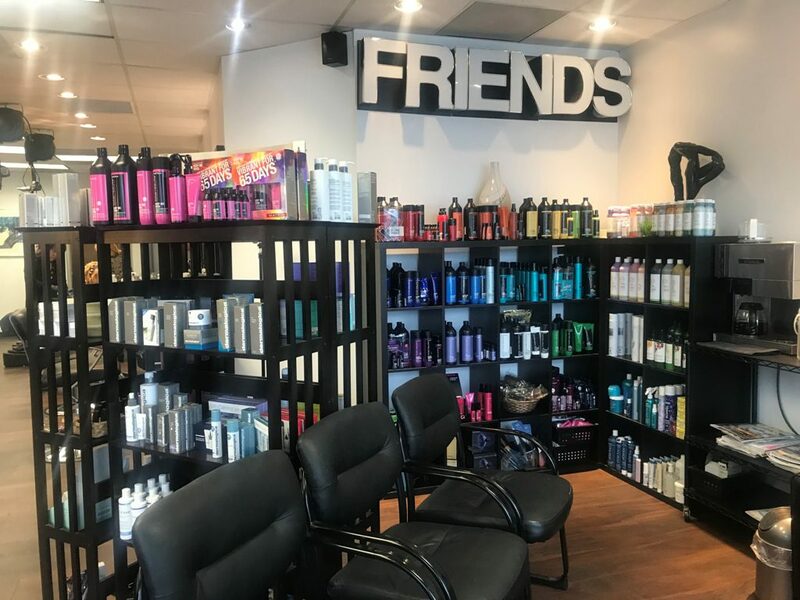 In striving to be the friendliest, most professionally focused salon in St. Louis, we will continue to offer the latest in quality services and products. Friends thanks our clients for their commitment and entrusting us with your beauty needs as well as recommending Friends to your friends… Thank You!